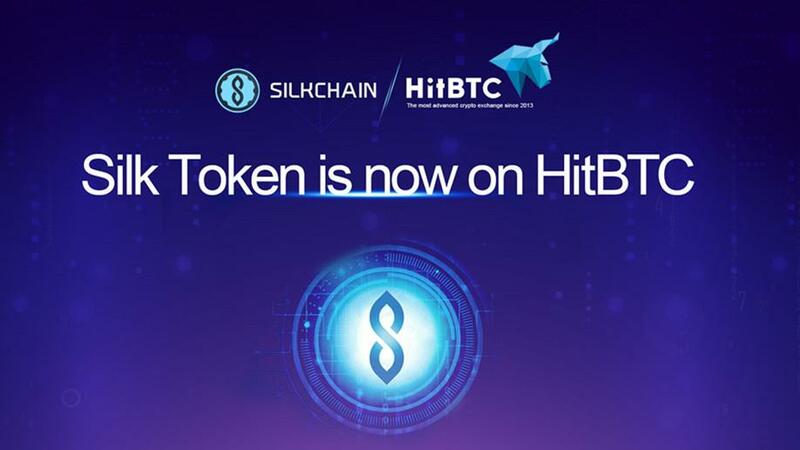 The SilkChain team is happy to announce that Silk has been listed on HitBTC exchange, one of the world’s most advanced cryptocurrency exchange. On this platform, Silk can be convertible against the pair ETH. HitBTC is one of the well-known exchanges, which has been established since 2013 and it is headquartered in Europe. HitBTC has been providing transaction service before the Bitcion had become popular and known as one of the exchanges creating growth opportunities for new coins and token. Most of the time the HitBTC's trading volume is in the world's top 5, and the website traffic rank in that of the global exchanges is in top 3. In addition, the exchange has been providing markets for digital assets, tokens and ICO as well as a wide range of available instruments and flawless uptime. HitBTC exchange has the features of high volume of transaction, reasonable fees, and high security, which will make the transaction more smooth and convenient. The advanced matching engine, the support of multi-token and the high quality service are attractive to the professional traders. As the first project in the world that dedicates blockchain technology to improving international trade and consumer spending ecology, SilkChain represents the most powerful one initiated by the largest members among all crowdfunded blockchain projects until now. The co-sponsored members are all from well-known enterprise groups, trading entities or e-commerce, logistics, warehousing and financial companies in the world. The “SilkChain” community made up of many members will prioritize the establishment of”global merchant credit system”and”supply chain financial system”. It is estimated that in the next three to five years, it will bring about trillions of US dollars in annual increments in global trade, promote the transformation from traditional international trade stocks to digital trade, and create additional business opportunities worth trillions of U.S. dollars each year. All community members will work together to build an equal and mutually beneficial international trade ecology and share the huge dividends of ecological development.